Small Medium Dog Breeds – Choosing the right doggy for you. Choosing the right doggy for you. 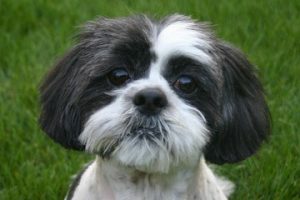 If you love small-medium dogs you probably love a large percentage of different breeds however choosing the right dog for you can be challenging depending on your health, career, where you live and, of course, how much time you have for your new friend. There are a lot of small-medium dogs breeds out there and all the different breeds have qualities, features, energy, and attitude. There are dogs that are great for people with Allergies, hunting dogs, lap dogs, water-loving dogs and also water hating dogs. Whatever doggy you choose is going to be with you hopefully for many years to come, bringing you joy, challenges and most of all unconditional love. All small-medium dog breeds have different feelings/attitudes about what they like, who they like and of course what they don’t like and who they don’t like and they can have behavioral traits that you may or may not like. For example, some small-medium dog breeds are known for not being mellow, or just plain snappy. Some don’t shed their hair and are great for people with allergies. What about the breeds that love to be king/queen of the castle. Dogs who absolutely love water and some who hide when its bath time (cute). Of course, you also have breeds that will guard for you and protect you and your loved ones fiercely. It has been said small-medium dog breeds make the best protectors. Cairn Terrier, Jack Russell, Miniature Schnauzer, Sots Terrier just to name a few. You may think you like a certain breed and then do some research and change your mind because as you learn more about a certain breed you realize this type of dog is not for you and that’s OK too. Remember this new addition to your life is going to be with you for many years so it is really important when choosing your new family member to know which breed is for you. Also, it is important to consider how much time you have to spend nurturing, training, exercising and loving your new doggies. Some small-medium dog breeds are extremely energetic and require a lot more exercise than other breeds. Terriers are known to be live wires, great hunters and protectors and need a good amount of exercise. If you choose a dog not a puppy you may find the dog has certain behavior issues and you are going to need lots of patience and love while working with your new friend to change the behaviours and sometimes this can be challenging however it is worth it because your relationship with your dog will grow stronger and your new friend will trust you and love you unconditionally which is well worth the effort you put in. Owning a puppy is not unlike having a small child. They love to learn, find things to get into which are sometimes inappropriate and need lots of nurturing and love along with praise and boundaries. Lots of new lessons to be learned to ensure your new friend grows up to be a well-behaved(most of the time ) fun pet and the best friend you always wanted. 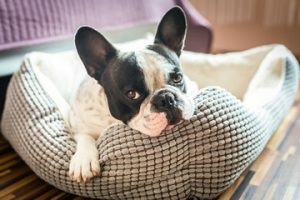 We all love a cozy warm bed, good food, regular check-ups to ensure our health is on track, bathing, and grooming along with fun things to do, good training and boundaries. Going on outings is also great fun. A cozy bed makes your doggy feel safe. 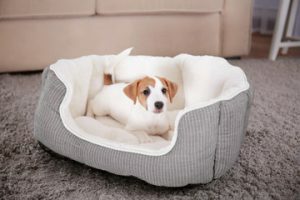 Some people let their doggy sleep on a blanket on their bed and this is OK too if you don’t mind sharing your bed, however, having their own bed is more preferable and creates boundaries which are safe. Grooming is very important to the health of your doggy and being bathed once a month will keep your dog’s coat and skin in good condition. Being brushed every day also benefits the skin and coat of your doggy and they love being pampered as we do as humans. A good diet is essential to maintain the health of your dog. People are often tempted into giving their dog all sorts of what the owner calls treats, for example, sharing the toast at breakfast time- not good. Giving them leftovers from the family meal as well as their own meal- not good. If you are going to share your meal put some food in their bowl and this replaces the other food you would normally feed them. Being overweight can cause all sorts of health issues, very similar to humans so do not “kill them with kindness”. Exercise is fun and good for both you and your doggy and as I said earlier different small-medium dog breeds have different exercise needs so do your research once again. If you go on an outing in a vehicle always ensure your doggy is well harnessed and buckled in to keep them safe and secure. Training your puppy or your adopted dog is a must and you can most likely find a puppy school near where you live. Here, your doggy will learn social skills, behavior skills, boundaries in fact pretty much all they need to know and it is fun to do with your new friend. Playtime with your new friend will be so enjoyable. Doggies love toys to play with and there are some really great toys in the marketplace that your doggy will love. Training with treats can be good however don’t overdo it with treats and look for treats that are truly good for your dog because once again you do not want an overweight doggy. Before you choose your doggy do your research thoroughly to ensure you choose the right breed for you. You are going to have this new addition to your family for approximately 13 or more years so don’t choose lightly. Talk to different breeders, visit pet stores, animal shelters, go online, read books on small-medium dog breeds and when you are ready to visit the litter of the puppy you are going to purchase and check out the nature of the Mother and Father is possible. See how well the breeder looks after her puppy nursery. Ask whether the puppies have been vaccinated and also ask if there are any special things you need to know before you purchase a pup. 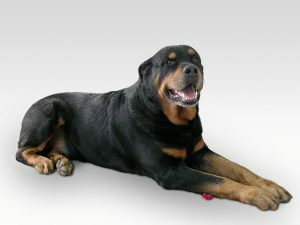 Are the parents healthy, well looked after doggies? Is the litter healthy? Once you are satisfied with everything it is now time for you to choose your new friend or in a lot of cases your doggy to choose you. 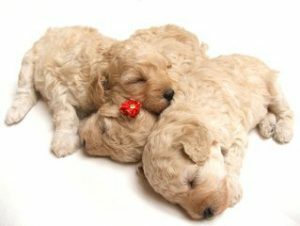 You will know which puppy is right for you and so will your puppy. Enjoy your wonderful new journey with your new friend.